tags: At the edge of our universe, all hell is about to break loose. The descendants of the first ones to travel space are regarded as people of lesser worth. Half a millennium after the first ships launched in search of a better life, the Pilgrims still are discriminated. When the Kilrathi declare war against the human race, it is up to Christopher Blair, Pilgrim halfling, to help avoid complete annihilation. Since the Kilrathi managed to conquer a Navcom unit, they know the jump coordinates to Earth. And since the terran fleet is two hours further away from home than the Kilrathi fleet, the only hope of Mankind is to set trust in a Pilgrim, who can astrogate by feeling and does not need a Navcom unit - it's all genetics. 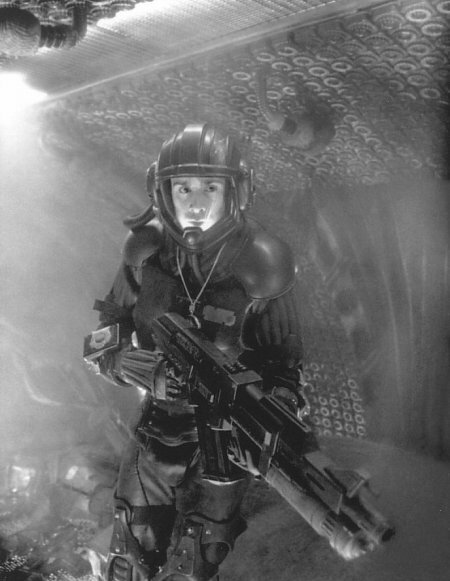 Blair, a fighter pilot, joins an interstellar war to fight the evil Kilrathi who are trying to destroy the universe. I just saw Wing Commander last Saturday and I was very impressed. 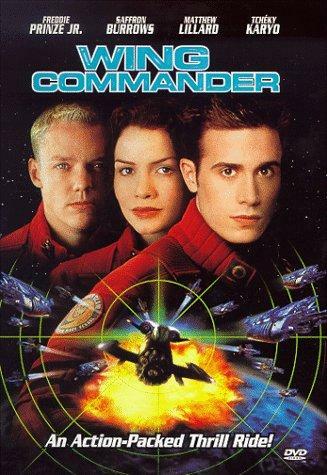 Science fiction movies (that are not Star Trek or Star Wars movies) usually do not have plots of good quality, but Wing Commander seems to be an exception to this rule. It's a great movie overall . . . it's got everything: action, incredible special effects, a little romance, and yes, it's even got some important social issues thrown in. The whole "s/he never existed" attitude after a pilot was killed was a fascinating dynamic -- you could see that it pained 'Angel' to say "Do it for Rosie." And the hatred directed toward Blair for being half-'Pilgrim' was a telling reminder that prejudice against people based on their heritage still exists today, but that it can be overcome. I would rate the movie 9 1/2 out of 10 stars. Hopefully, Hollywood will produce more of such thought-provoking, enjoyable science fiction flicks. In the meantime, my final words on the movie are that Wing Commander rules! I agree with most of you that Wing Commander was a terrible movie, but there was one redeeming quality I found. It was the first Sci-Fi movie in several years (with some exceptions) that was not based on the formula "small group is stranded on ship/station/planet and is slowly being killed off by someone/alien/etc." for example (and I realize that many of these came out after Wing Commander) Supernova, Pitch Black, Alien Resurrection, the Friday the 13th in space movie, Red Planet, etc. Starship Troopers and Star Wars were pretty much the only other space Sci-Fi movies that came out between 1997 and now that didn't follow this formula. Formulaic, humdrum and sometimes unintentionally laughable.